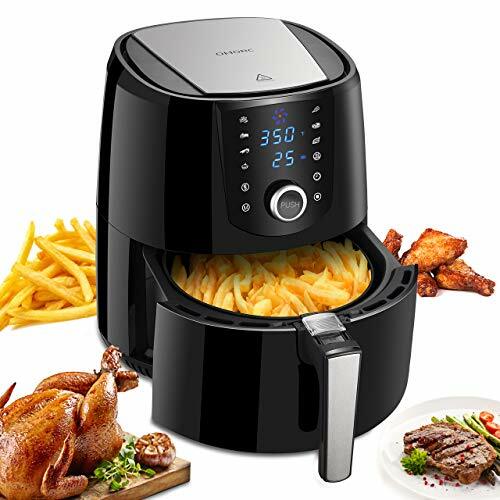 80% LESS CALORIES FOR HEALTHIER FRYING: This air fryer cooks food by circulating hot air in all directions with almost no oil needed, allowing you to enjoy your favorite food without extra calorie (up to 80% less fat than traditional frying methods). It not only keeps you away from kitchen oily smoky smell and hot oil splatter, but retains more essential nutrients and moisture of food. 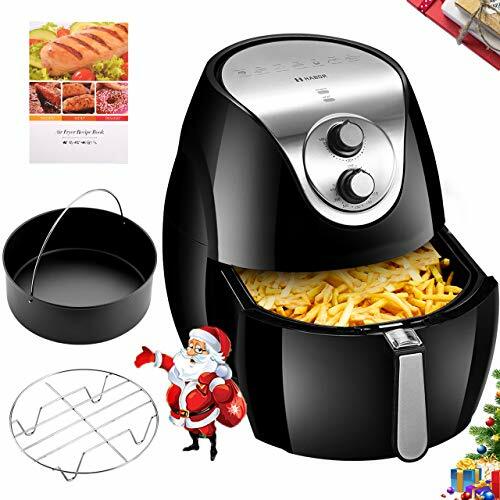 VERSATILE USE & EASY OPERATION: Our air fryer is endowed with 7 cooking presets including Fries, Rib, Shrimp, Cake, Chicken, Steak, and Fish. One kitchen appliance for all your cooking needs. 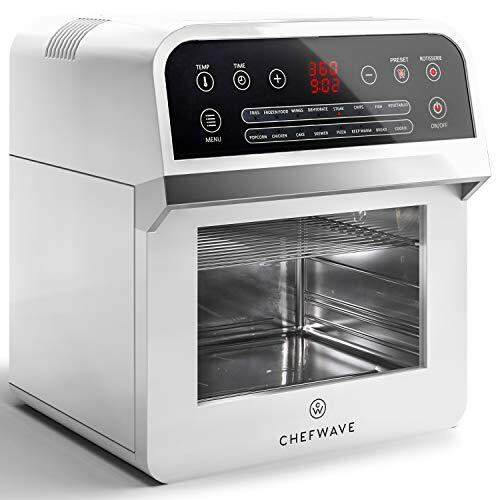 Simply choose desired temperature and time for frying, grilling, roasting or baking food as you want. A recipe book is included for reference. 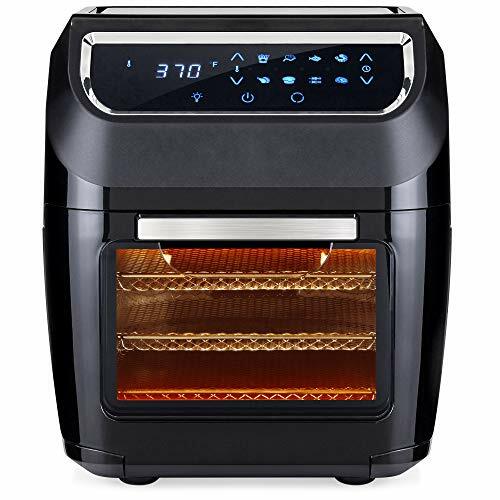 DIGITAL TOUCH SCREEN & KNOB CONTROL: Intuitive LCD Control Screen, Timer and Temperature Settings, PUSH button (rotate to adjust and push to start) are designed for effortless operation. Temperature adjustable from 80℃/176℉ to 200℃/392℉ and time from 0-60 Mins. And you can press the Heat Preservation button to constantly keep the food warm for 120 min. 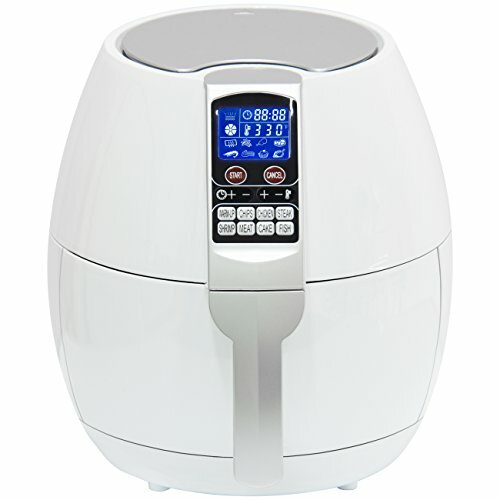 FAMILY SIZE & DISHWASHER SAFE: With a capacity of 3.5L, our air fryer can undoubtedly serve a family of 3-4 people. 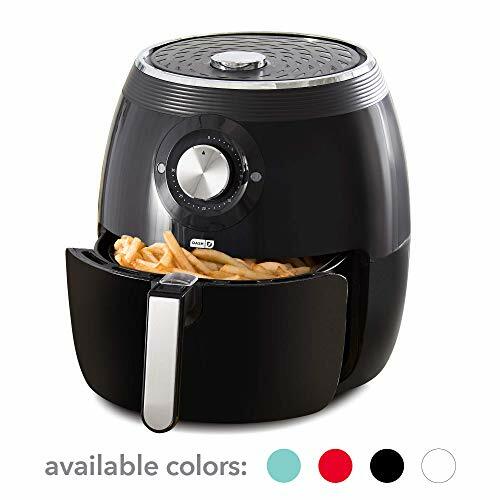 Non-sticky and easy-to-clean Fry Basket and Fry Pot featured with a cool touch handle and button guard prevent scalding or accidental detachment. Removable parts are dishwasher safe, making every cleaning without effort. 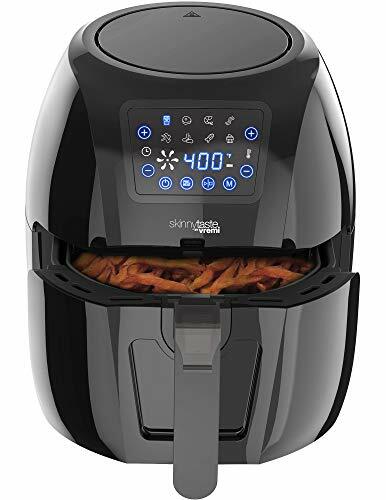 100% SAFETY PROTECTION & MEMORY FUNCTION: You can fetch the fry pot directly to cancel the operation anytime and the machine will automatically power off for safety. Thanks to its memory function, the cooking process will continue when the fry pot returns. 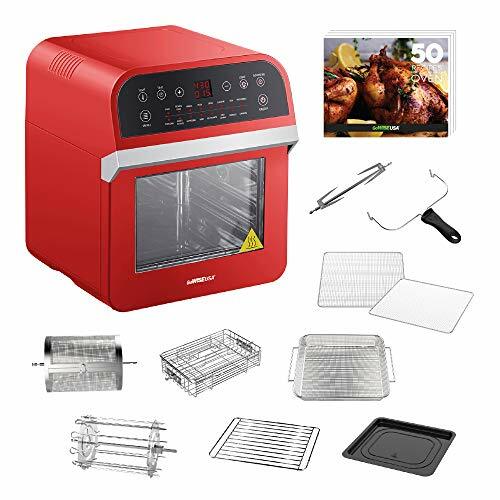 What’s more, it is equipped with an inner air filter to ventilate and dissipate heat for about 20s after cooking.